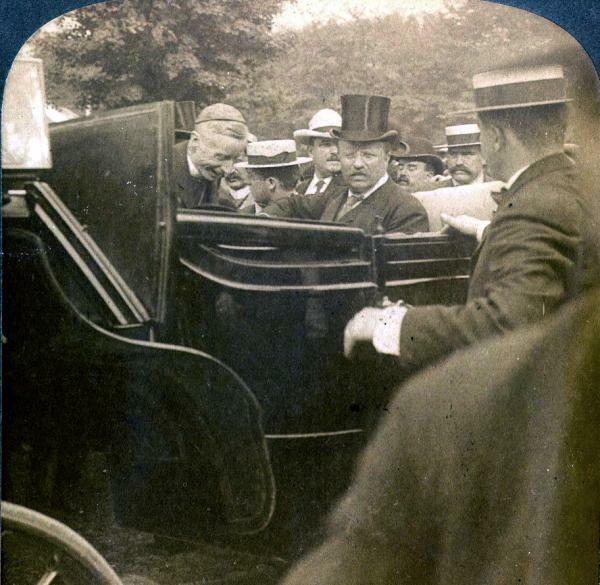 President Theodore Roosevelt, Wilkes-Barre, PA, 1902. Governor William A. Stone’s support of the coal mine operators heavy-handed refusal to negotiate with Pennsylvania’s striking anthracite miners in 1902 infuriated President Theodore Roosevelt. When the stoppage threatened a nationwide coal shortage, Roosevelt set up a Commission that arbitrated a resolution in favor of the miners. This was the first time in American history that the federal government interceded in a labor dispute on behalf of the workers.